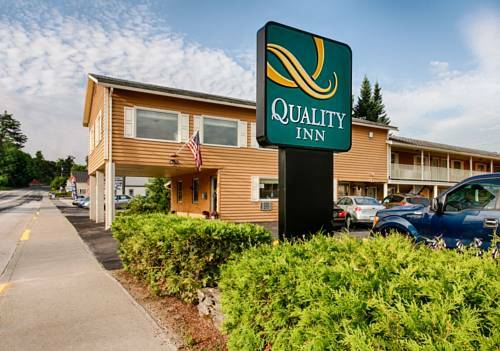 Get more for your hard-earned money at the Quality Inn hotel in Barre, VT near Norwich University. Our smoke-free hotel is located on Route 14, close to Interstate 89 near Rock of Ages Visitors Center, the New England Culinary Institute, Barre Opera House and Montpelier. Get more value with hotel amenities like free WiFi, free breakfast, copy and fax services, a meeting room, an indoor heated pool and a hot tub and free coffee. Guest rooms include hair dryers, coffee makers, desks, irons, ironing boards, microwaves and refrigerators. Also, earn rewards including free nights and gift cards with our Choice Privileges Rewards program. Pet accommodation:15.00 USD per pert, per night.Maximum of 2 pets per room.Pet deposit required, please contact the hotel directly to ensure pet rooms are available. The folks in the Fairbanks Museum aren't embarrassed that they have an oddball exhibit. They call it "bug art" -- which is in fact what it is -- with pride. The late Stephen Huneck's artsy Dog Mountain includes a canine chapel where there is "No Dogma Allowed." A concrete King Kong that's traded-in Fay Wray for an old-style Volkswagen.